PDF (15 MB) Developed and presented by Ken Baldauf at Tallahassee Startup Week 2017. Abstract: Design Thinking is a human-centered framework for problem-solving and innovation. This presentation provides a brief overview of the characteristics of Design Thinking followed by a workshop activity for groups based on Stanford’s Crash Course in Design Thinking. Many useful resources are referenced. PPT (74 MB) Written and presented by Ken Baldauf at the Digital Government Summit, May 19, 2017. Abstract: In January 2018, FSU will open a new Innovation Hub, an interdisciplinary facility for design and innovation, in the center of campus. The Innovation Hub will enable students to discover needs, imagine opportunities, create solutions, and share experiences in an innovative, collaborative, and entrepreneurial environment. The Hub is one component of FSU’s strategy to deepen its distinctive commitment to continuous innovation. The center will support all stages of Design Thinking using the latest technologies including a digital fabrication lab with 3D printers, laser cutters and other tools for developing prototypes, an artificial reality lab for students to explore virtual and augmented reality, app development resources, abundant collaborative workspace and an academic program that provides the necessary training through coursework, workshops and online resources. In this session you will hear about the motivation and thought process behind the development of FSU’s Innovation Hub from the Innovation Hub Director, Ken Baldauf. PDF (2.4 MB) Written and presented by Ken Baldauf at the Jim Moran School of Entrepreneurship. Abstract: The presentation presents research findings regarding emerging technologies in the 2017 timeframe, that are ripe for entrepreneurial applications. PDF (2.3 MB) Written and presented by Ken Baldauf at the Course Technology National Conference in Orlando, FL April 4, 2016. Abstract: Colleges are under increasing pressure from stakeholders to produce students with marketable, innovative, problem-solving skills. At the same time, faculty are straining to find new ways to engage students in the classroom, while providing interdisciplinary opportunities. Many schools have found that creating an Innovation Center can address all of these challenges while creating an additional stream of revenue. Join Ken as he charts the course for innovation at your school combining education in technology, design, fabrication and entrepreneurship to engage college students in an entirely new and effective learning environment that transforms every participant into a 21st century innovator! PDF (3.3 MB) Written and presented by Ken Baldauf at FSU’s “Exploring Digital Scholarship: Data, Texts, and Tools” symposium. Abstract: Innovation Centers are being embraced by universities across the country as a tool for connecting research with industry and providing space, tools, and training for students to explore their own big ideas. This presentation looks at some impressive examples, explores a variety of models for innovation centers, and explores FSU’s opportunities in this space. PPTX (15.2 MB) Written and presented by Ken Baldauf at the Course Technology National Conference in Phoenix, AZ, March 18, 2015. Abstract: 3D printers are becoming popular as novelties for the home. But, these simple consumer-grade 3D printers provide only a glimpse of this technology’s potential to radically impact life as we know it. In this session, Ken will utilize a 3D printer in action along with video demonstrations to provide an overview of 3D printing technologies, and illustrate how these technologies are disrupting industries and practices including art, design, architecture, engineering, manufacturing, business, construction, medicine, fashion, food and most importantly, education! Ken will share how 3D printing has been embraced at FSU for education, research and utility. He will also provide a framework for you to use to prepare your students to take advantage of the new opportunities presented by 3D Printing, a disruptive tech that is about to change everything! PPTX (20.7 MB) Written and presented by Ken Baldauf and David Hensley at the Course Technology National Conference in Phoenix, AZ, March 20, 2015. Abstract: Google Glass, smart watches and jewelry, smart clothing, smart tracking, fitness bands, wearable cameras and even implants are connecting people to information, and collecting information about people, on a continuous basis. In this session, Ken and David examine the useful and disruptive applications of wearable technologies that are creating a more informed and exposed population. We will explore the latest wearable technologies from both the user’s and developer’s perspectives and examine related trends and technologies such as augmented reality, lifelogging, life-hacking, bio-hacking and the quantified self. Attendees will learn how wearable technologies can impact the computing curriculum, and how to prepare your students to take advantage of the new opportunities presented by wearable technologies, a disruptive tech that is about to change everything! PPTX (15.8 MB) Written and presented by Ken Baldauf at the Course Technology National Conference in Phoenix, AZ, March 19, 2015. Abstract: Emerge with Computers 6 is coming this summer with all updated content, the latest Windows and Office training and the engaging features that teachers and students love, now customizable in MindTap! This presentation provides information on what Emerge is, why it’s a unique and effective learning solution for the intro to computers course, and how Emerge 6 improves on an already compelling product. PPTX (33.2 MB) Written and presented by Ken Baldauf and Beverly Amer at the Course Technology National Conference in Nashville, TN, March 13, 2014. Abstract: In order for the U.S. to maintain its leadership position in the global economy, colleges must produce graduates that are innovative problem-solving entrepreneurs. Learning to apply computer and technology skills in a student’s field of study empowers that student to innovate. 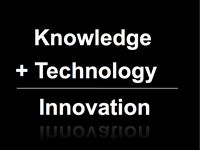 Simply put: Knowledge + Technology = Innovation. In this presentation Ken will reveal how his program (www.pic.fsu.edu) provides Florida State University students with access to the important computer skills required to propel them to success, while also promoting computer education and computer-related research and innovations across campus, in the community, and beyond. Those who attend this presentation will learn about new computer courses that appeal to students from a variety of degree programs and will gain insight on how to increase their value and influence within their institution to become recognized for the important contribution they make to students’ lives. PPTX (7.8 MB) Written and presented by Ken Baldauf and Beverly Amer at the Course Technology National Conference in Nashville, TN, March 12, 2014.Abstract: While many question the value of an intro-level computer course for the Internet generation, many computer education experts, including our presenters, hold fast to three proven axioms: 1. The “Intro Computer Course” CAN be a relevant and engaging course for students, 2. Everyone benefits from more computing and technology in the curriculum, 3. It’s not just what we teach, it’s also how we teach it. In this session, Ken Baldauf and Beverly Amer, authors of Emerge with computers, demonstrate how the intro course can be the best course your students ever take. PPTX (12.8 MB) Written and presented by Ken Baldauf and Lauren Murphy at the Course Technology National Conference in Nashville, TN, March 14, 2014.Abstract: Submerge yourself in Ken Baldauf and Beverly Amer’s next-gen online learning framework, Emerge with Computers. Instructors who use Emerge are passionate about how the content is relevant for students in their courses – Emerge keeps students engaged and invested in the course with information that is constantly refreshed with the latest current events and provides career-relevant, problem-solving exercises for skills. Join this fast-moving session to learn more on how Emerge can lead to better outcomes in YOUR course: the first 20 minutes will introduce the new Emerge 5.0 story and content, the next 10 minutes will include a demonstration of Emerge in MindTap, and the remaining 30 minutes will be spent in a focus group style – eliciting your feedback on the introduction to computers course, what features in Emerge stand-out as critical elements to your students’ success, and what you could see further benefiting this product. As Ken and Beverly say, the best way to learn about technology is by experiencing it! Come down and do the same. PPTX (3.1 MB) Written and presented by Ken Baldauf at the Pennsylvania Community College Computer Consortium (4CPA) Conference at Northampton Community College, November 1, 2013.Abstract: A short presentation on the relevance of the Intro Computer Course taught by most colleges. The presentation is centered around three Axioms: 1. The “Intro Computer Course” can be a relevant course for students, 2. Everyone benefits from more computing and technology in the curriculum, 3. It’s not just what we teach, it’s also how we teach it. PPTX (6 MB) Written and presented by Ken Baldauf and Fran Marshall at the Florida Distance Learning Association (FDLA) Conference in Orlando, September 13, 2013.Abstract: This presentation outlines research conducted by FSU’s Program in Interdisciplinary Computing and Instructional Systems Program on Learning Community Systems utilizing BuddyPress – a plugin for WordPress. PPTX (13 MB) Written and presented by Ken Baldauf at the Course Technology National Conference in San Diego, March 13, 2013.Abstract: This presentation begins with a retrospect of Online Learning and Ken’s involvement, followed by an examination of MOOCs, and College administrator’s reaction. It concludes with an examination of what it takes to lead a successful and engaging online class. PPTX (6.8MB) Written and presented by Ken Baldauf at the College of Education / Educational Psychology and Learning Systems/ Instructional Systems, Seminar, Oct 19, 2012Abstract: This walk down memory lane includes my work with Course Technology to create an all new form of digital delivery for textbooks, our work in PIC to integrate social media with LMS to create a Learning Community System (LCS), and a look ahead at MOOCs. Widescreen PPT (10.4MB) Written and presented by Ken Baldauf at a Cengage Webinar, Oct 19, 2012Abstract: Many colleges are feeling compelled to offer courses online. Technology courses serve as a great start. This presentation shares strategies and considerations for taking a course online, and the skills needed to make an online course succeed! Widescreen PPTX (944KB) Written and presented by Ken Baldauf at the Tech Expo 2012 in Tallahassee May 2012Abstract: A new approach to computer education at FSU from the Program in Interdisciplinary Computing (PIC). PPTX (192 MB) | PDF (10 MB) Written and presented by Ken Baldauf at the Cengage Learning/Course Technology Conference and Forums February/March/April 2011Abstract: The process of education is at a tipping point. We will rapidly transition from bound books and lectures to online interactive content with real-world implications and collaborative learning. Are you prepared to tip? Are you prepared to emerge? PPTX (192 MB) | PDF (10 MB) Written and presented by Ken Baldauf as the keynote address at the California Business Educators Association State Conference in San Jose, CA, November 6, 2010Abstract: Today’s youth lead online lifestyles. They interact in online communities, build relationships, express themselves, stay informed, and find answers to life’s questions all online. Notebook PCs, smartphones, and wireless networks provide access to social networks anywhere, anytime. This generation, the iGeneration, is accustomed to on-demand, individualized service, and is becoming increasingly intolerant of traditional teaching methods where lectures and textbooks assume that “one size fits all” and that learning takes place through individual effort in a classroom. As teachers struggle to satisfy tech-savvy students, we also face pressure to serve increasing numbers of students with fewer resources. Some schools are finding success in dealing with these issues through innovative uses of technologies. Moving curricula online, adopting online pedagogies that emphasize exploration and collaboration, designing engaging activities such as “serious games,” and implementing online learning communities are key to connecting with the iGeneration. This presentation looks at current research in innovative online education technologies, along with the presenter’s own work in the area. PPTX Written and presented by Ken Baldauf at the California Business Educators Association State Conference in San Jose, CA, November 6, 2010Abstract: Tear down the classroom walls! Liberate your students! Become a more effective teacher by harnessing the power of community and social media. Students want to be active participants in the learning process. Teachers must engage them using the social media technologies with which students are most familiar. At Florida State University we are combining Blackboard with WordPress and BuddyPress to create an online learning community that promotes student collaboration through social media. The result is a Facebookish environment where student interaction and engagement thrives and teaching and learning is distributed across all participants. Come witness the future of education. PPTX Written and presented by Ken Baldauf at the Cengage Learning/Course Technology Conference and Forums at Dallas, Tampa, Chicago, Philadelphia, Toronto, Vancouver, February/March/April 2010Abstract: Technology is trending towards increasingly mobile devices, and applications that assist us in connecting with our social networks in a variety of ways. Today’s middles school and high school students present an entirely new generation of students, sometimes referred to as the iGeneration, who live their lives constantly connected to their social net, and expect innovation and services on demand. Emerge with Computers is an entirely new way of teaching computer concepts, issues and skills designed to appeal to the iGeneration through the use of the technologies with which they are accustomed. PPTX Written and presented by Ken Baldauf at FSU’s School of Library and Information Studies Colloquium Series, January 27, 2010Abstract: Research from the Kaiser Family Foundation recently revealed that, when not in school, kids spend nearly all of their waking hours engaged with media: TV, music, books, movies, video games, and websites. The dominance of media, and digital life styles where kids maintain interpersonal relationships online, and do most of their learning online, present new challenges for educators wanting to connect with this generation of students. A new pedagogical approach is needed. An approach that addresses student’s individual needs, while building a learning community. This presentation will explore online tools that can be leveraged to support such an approach. PPTX Written and presented by Ken Baldauf at The League for Innovation’s annual Conference on Information Technology (CIT) – Detroit – October, 2009 and also at Course Technology Webinars.Abstract: “Emerge with Computers” is a third-generation learning platform from Course Technology Publishing that evolves learning from bound paper and lecture halls to a rich online learning environment. Emerge with Computers blends Web 2.0 technologies such as wikis, blogging, RSS, social networking, and streaming video to create an online community of students around course content. Emerge with Computers delivers course content along with related current events in a manner that engages generation Y.
PPT Written and presented by Ken Baldauf at the Cengage/Course Technology National Conference and Forums – Houston, LasVegas, Orlando – March, 2009.Abstract: Bringing textbooks and learning online with a new innovative learning platform that combines wiki, video, and community features for a rich learning environment. PPT Written and presented by Ken Baldauf at the Cengage/Course Technology National Conference, LasVegas, March, 2009.Abstract: FSU’s new Program in Interdisciplinary Computing is redefining how computing and information technologies are taught in Florida. PPT | MOV Written and presented by Ken Baldauf at the Cengage/Course Technology National Conference, LasVegas, March, 2009.Abstract: A motivational 4.5 minute auto-play presentation that highlights the use of technology in various disciplines. Showcase and Tech Fair sponsored by the Center for Teaching and Learning at FSU, February 11, 2009.Abstract: This presentation discusses the use of RSS as applied to online research and podcasting for academic purposes. PPT (Atlanta) | PDF (Baltimore, Minneapolis, Orange Cty) Written and presented by Ken Baldauf at the Cengage/Course Technology 2008 Forums in Atlanta, Baltimore, Minneapolis, and Orange County, March 2008Abstract: This presentation examines the state of technology, the online life that students lead, and how teachers can be more effective by reaching students with new technologies. PPT Written and presented by Ken Baldauf at the Cengage/Course Technology 2008 Conference in Nashville, March 12 – 14, 2008Abstract: This presentation is a case study of my experiments with computer literacy classes at FSU, what I’ve learned, and how I am applying it to design a next-gen course for FSU students. PPT Written and presented by Ken Baldauf at the ATEAM Summit at Calhoun Community College, Alabama, March 6, 2008Abstract: This presentation looks at the role technology plays in our lives, expectations of business on the technology skills of college grads, K-12 technology education, and the role of college computer classes for non-technology majors. PPT Written and presented by Ken Baldauf at the ATEAM Summit at Calhoun Community College, Alabama, March 6, 2008Abstract: This presentation provides a survey of Web 2.0 Web sites and services, and how they can be used in education. PDF Written and presented by Ken Baldauf at the Cengage/Course Technology 2007 Special-Invitation Conference in Las Vegas, November 1 – 2, 2007Abstract: New technologies such as Web 2.0 and social networking are rapidly changing the landscape of the Web. As we enter the age of everywhere computing, teachers and their curriculum must follow. For technology teachers, new technologies present both more to teach, and more ways to teach. This presentation discusses how teachers can make use of new technologies to connect with students. PPT | PDF Written and presented by Ken Baldauf at the Thomson/Course Technology 2007 Conference in Orlando , March 1, 2007Abstract: Last semester the enrollment in “service” classes offered by the Computer Science Department at Florida State UNiversity was 1,817. This semester, 2,722 students have enrolled. This amazing feat was accomplished by offering new classes to non-tech students, providing online opportunities, and employing smart marketing strategies. This presentation covers the details. PPT | PDF Written and presented by Ken Baldauf at the Thomson/Course Technology 2007 Conference in Orlando , March 1, 2007Abstract: Ken Baldauf and Course Technology have partnered to create the Coursecast of the Week- a weekly technology news podcast, designed for college students.The Coursecast of the Week is a great way for tech teachers to inject relevance into their teaching. This presentation describes the design and goals of the Coursecast of the Week. Written and presented by Ken Baldauf at the iTEC Summit, Daytona Beach, Sept. 29, 2006Abstract: This presentation combines research findings covered in previous presentations including research on what employers want, what academic experts recommend, what current students know, and what future generations of students will know in regards to computers and information technology, to provide insight for developing an effective and efficient college-level computer literacy curriculum. Computer Literacy: What Do Employers Want? PPT | PDF | HTML Written and presented by Ken Baldauf at the Thomson/Course Technology 2006 Conference in San Francisco, March 29, 2006Abstract: This presentation examines the results of FSU’s 2006 Employer Survey which illuminates the computer skills and competencies that most interest employers. The presentation combines employer desires with standards for IT Fluency, and Information Literacy, along with local consideration to create the ideal College-level Introductory Technology Course. Written and presented by Ken Baldauf at the Thomson/Course Technology 2006 Forums in Orlando (Feb 3), and Austin (April 7)Abstract: This presentation examines tomorrow’s college students by analyzing the technology skills they are acquiring in today’s K-12 curriculum. Part two of the presentation provides the results of FSU’s Student Technology survey and summarizes the computer skills of today’s incoming college Freshmen. The presentation concludes with the action plan being pursued at FSU to accommodate increasing amounts of computer competent students in our introductory computer classes. Written and presented by Ken Baldauf at the Thomson/Course Technology 2005 Conference in OrlandoAbstract: The National Educational Technology Standards (NETS) program has defined what K-12 students should know about technology and be able to do with technology. NETS has been adopted by educational boards in 49 states who are pressing hard to integrate technology into their K-12 curriculums. NETS may effectively migrate most or all of the concepts and skills taught in today’s college-level introductory technology course to the K-12 curriculum. Will NETS provide true pre-college computer literacy? What will become of the college-level intro course when all incoming freshmen are already computer literate? 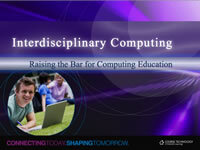 This session will examine these issues and provide a peek into the future of computer literacy in colleges. Written and presented by Ken Baldauf at the Thomson/Course Technology 2004 Conference in San Antonio, March 16, 2004Abstract: This presentation describes the unique 2-course sequence of Computer Literacy courses at FSU and the rationale behind the design.